“CHARMED” – Things That Make Me Go . . . Hmmm? The following is a list of questions regarding storylines that have been featured in past episodes of “CHARMED”. If you have an answer to any of my questions, please feel free to reply. 1. In Season 7’s “A Call to Arms”, how did Inspector Sheridan and nearly everyone else know about Chris’ death in the Season 6 finale, “It’s a Bad, Bad, Bad, Bad World II”, when just about everyone – except for Leo and the Halliwells – had lost their memories of that alternate dimension, following Gideon’s death? 2. Why did Vinceres tell Prue that her powers were no good, when she was using martial arts and not magic, against him in Season 3’s “Primrose Path”? 3. Why did Cole in S7’s “The Seven Year Witch” confess to deliberately impregnating Phoebe in late Season 4, when he was actually possessed by the Source at that time? 4. Why did warlocks in Season 1 morph into vampiric game faces? Are they not suppose to be witches (who are mortals) that had simply gone bad? 5. Speaking of warlocks, why were they portrayed as immortals? Was Constance Burge, Brad Kern and their writers trying to hint that when witches become warlocks, they become immortals? 6. Why do the Charmed Ones keep referring to their witch ancestors as the “Halliwell women” or the “Halliwell line” in their conversations and spells? According to family tree depicted in Season 2’s “Pardon My Past”, their mother, Patty, was the first in their family to be born as a Halliwell. 7. And why did Grams remind Prue and Piper in S3’s “Just Harried” that the women in their family kept their maiden names after marriage? She used the name of Halliwell, which belonged to her first husband. And her maiden name was Johnson. 8. And what was the first name of the Charmed One’s maternal grandfather – Jack (S2’s “Pardon My Past”) or Allen (S6’s“Witchstock”)? 9. Why did Leo claim in S3’s “Exit Strategy” that he was born in 1924? Does this mean that he was attending medical school at the age of 17, when Japan bombed Pearl Harbor in December 1941? 10. Why would the BAY-MIRROR’s editor-in-chief, Elise Rothman, leave Phoebe, an advice columnist, in charge of the newspaper for a whole day in order to teach the witch a lesson in S7’s “Scry Hard”? Was she crazy? 11. Why did Leo tell Victor that the sisters were NOT mortals, when nearly every demon on the show has referred to them and other witches as mortals? 12. Both Cole and Vinceres had discussed that mortals (witches included) who were not natural empaths, could not handle an overload of emotions in “Primrose Path”. Yet, Prue had claimed demons could not handle such a large amount of emotions, despite the fact that Vinceres had carried Father Thomas’ empathy power for at least two years. Did the writer(s) of “Primrose Path” create a contradiction? 13. 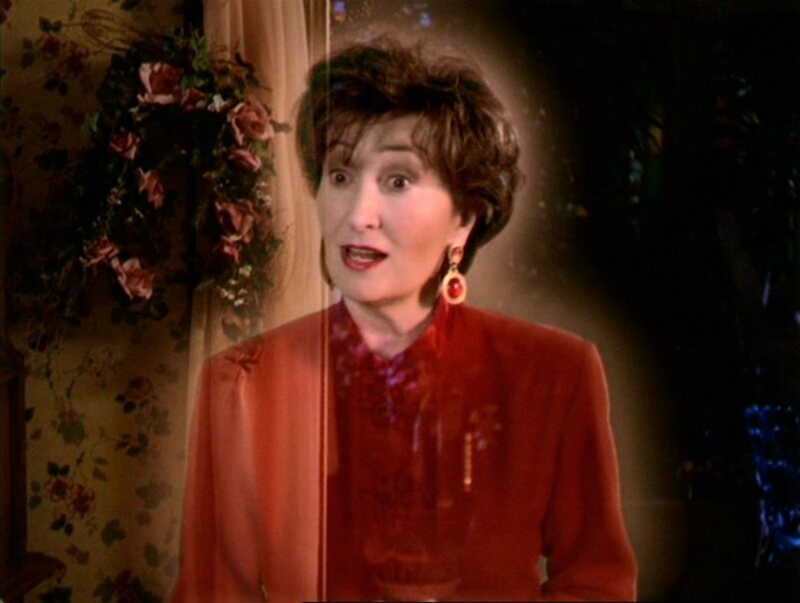 Why was the Source so contemptuous of Phoebe’s psychic abilities in Season 4’s “Charmed and Dangerous”, when he had relied so heavily upon seers like the Oracle and the Seer? 14. Why did Darryl take orders from Inspector Sheridan, when as a police lieutenant, he ranked higher? 15. How did Cole get his job back at Jackman, Carter and Kline at the beginning of Season 5? 16. Why are other witches on the show portrayed as helpless or semi-helpless? 17. Why did Leo assumed that Cole was automatically “good”, when the latter had lost his powers in S4’s “Black As Cole” and S7’s“Sympathy For the Demon”? Had he forgotten the evil humans that the sisters had confronted in the past? 18. Why did Phoebe assume that she would die on the same date that her past self had died, back in 1924 in “Pardon My Past”? She made this assumption before acquiring any real proof. 19. And why did Phoebe say in the above episode that she was the same age in February 2000, as her past self – P. Russell – was in February 1924? Phoebe was 24 years and 3 months old at the time. Her past self was 29½ years old at the time of her death. 20. 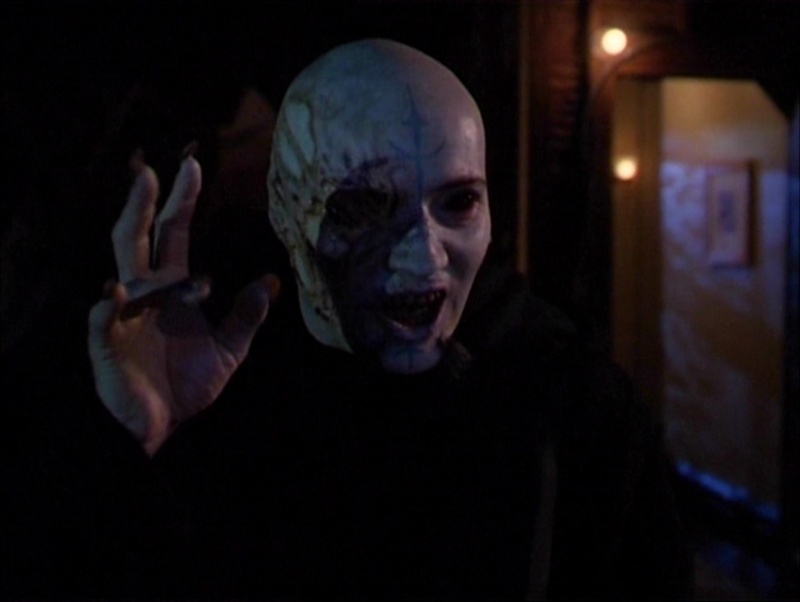 Why did the Charmed Ones and Leo had automatically assumed that using the Hollow made Cole the Source? He had the old Source’s powers when the sisters killed the latter. And possessing Piper and Paige’s powers did not make the Source two-thirds of the Charmed Ones. 21. 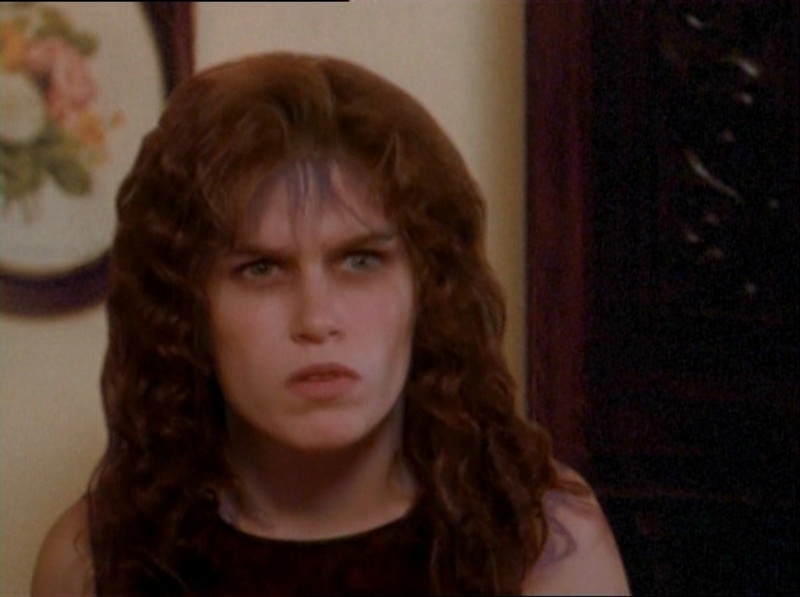 Why didn’t the Source simply kill the Charmed Ones after he had failed to turn Paige in “Charmed Again II”? 22. Why did Cole have such difficulty fighting the Halliwells in S3’s “Power Outage”, when had had managed to kill the more formidable Triad so easily? 23. Why are whitelighters (guardian angels) given authority over witches? 24. Why does the show feature witches engaged in demon hunting/slaying ONLY? 25. 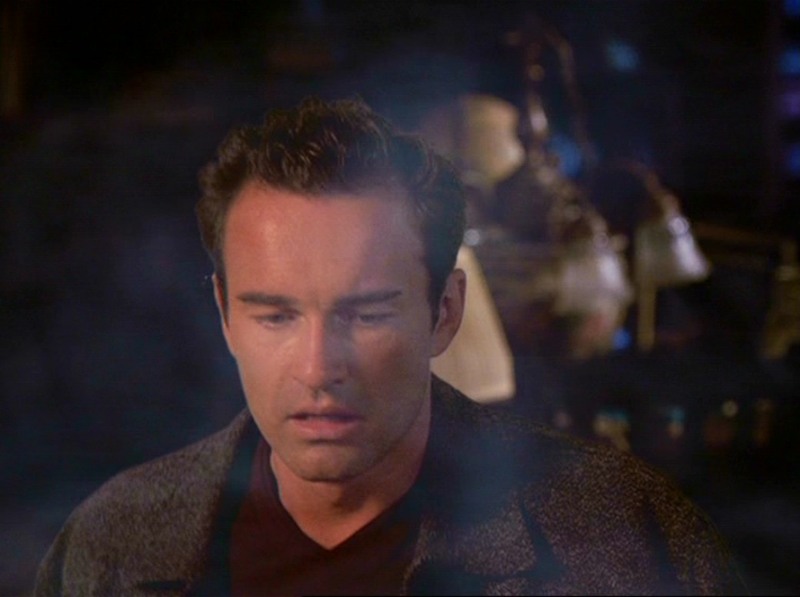 Once they had discovered that Cole was the Source in late S4, why didn’t the Charmed Ones bother to investigate on how he had become the Source in the first place? 26. How did Darryl explain Andy’s death inside the Halliwell manor in Season 1’s “Déjà vu All Over Again” to his supervisor? 27. Why didn’t Paige simply orb the gun out of Rick’s hand in S6’s “Hyde School Reunion”? 28. When Phoebe was taken over by the spirit (karma) of Mata Hari in S6’s “Used Karma”, why was she speaking with a French accent, when the former spy had been born in Java to Dutch parents? 29. Why did Phoebe become hostile toward Cole between the S4 finale, “Witch Way Is Now” and the S5 premiere, “A Witch’s Tail” after he had saved her life from the witch hunter, F.B.I. Agent Jackman? 30. Why would the supernatural world depend ONLY upon the Charmed Ones to fight demonic activity? What about other witches and demon hunters who were around long before the sisters had first retrieved their powers in the S1 premiere, “Something Wicca Comes This Way”? 31. Why is pyrokinesis (fire power) regarded by Leo and the Charmed Ones as evil in most of the episodes, and neutral in S4’s “Lost and Bound”? 32. Why did Cole have to become increasingly demonic in order to kill another half-demon in S4’s “Black As Cole”, when he did not have to do so in order to form an energy ball strong enough to kill the Source in “Brain Drain”? 33. Why would the Vampire Queen’s death enable Paige to avoid remaining a vampire in S4’s “Bite Me”? This does not make sense. Surely she should have remained a vampire, once she had been bitten. 34. How can the Charmed Ones travel to or exist in the past and their powers cannot, especially since their powers are supposed to be a part of themselves? 35. How can the Charmed Ones be witches, when they have never taken oaths or taken part in an initiation ceremony to become one? 36. According to the show, a witch becomes a warlock in the first place when he/she breaks his/her oath as a witch. So, why are warlocks described as immortals on the show? 37. Why does the Halliwell Museum of Witchcraft in “Chris-Crossed” featured the outfit Phoebe wore as a mermaid and the outfits the sisters wore in “Witches in Tights” (shudder!) on display? All outfits should have no longer existed, since Phoebe reverted back to being a human and the superheroine outfits were figments of that kid’s imagination. The Zanucks, Sam Mendes and the movie’s casting director collected a group of exceptional performers for the cast. “ROAD TO PERDITION” featured solid performances from Ciarán Hinds as the grieving and later murdered Finn McGovern, Liam Aiken as Sullivan’s younger son Peter, and a very entertaining Dylan Baker as the Rooneys’ accountant, Alexander Rance. Both Doug Spinuzza and Kevin Chamberlin were entertaining and memorable as brothel keeper Tony Calvino and his hired bouncer Frank. Stanley Tucci gave a restrained and intelligent performance as Al Capone’s right-hand man, Frank Nitti. Despite portraying the only major female role in the film – namely Annie Sullivan – Jennifer Jason-Leigh let her presence be known as Sullivan’s warm and loving wife, who also happened to know the truth about his real profession. 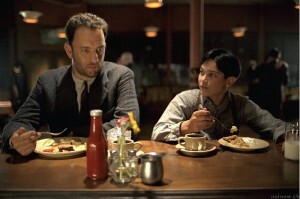 If I had to select my favorite Sam Mendes film, it would have to be “ROAD TO PERDITION”. I have never seen “AMERICAN BEAUTY”. And I do not exactly consider his other films better. Yes, the movie has its flaws, including a pacing that nearly dragged to a halt midway. But its virtues – superb direction by Mendes, an excellent cast led by Tom Hanks, and a rich atmosphere that beautifully re-captured the American Midwest during the early years of the Great Depression – made “ROAD TO PERDITION” a personal favorite of mine.